Northern Lights matches durability with fuel efficiency in its new diesel engine, the Lugger L6125H. The inline six-cylinder engine&apos;s electronically controlled high-pressure common-rail (HPCR) fuel system delivers maximum economy, says Colin Puckett, Northern Lights manager of marketing and sales administration. "It&apos;s an ideal solution for anyone in need of an engine that is able to run all day, every day," says Puckett. "I would think that trawlers and sportfishers would be the most likely candidates." 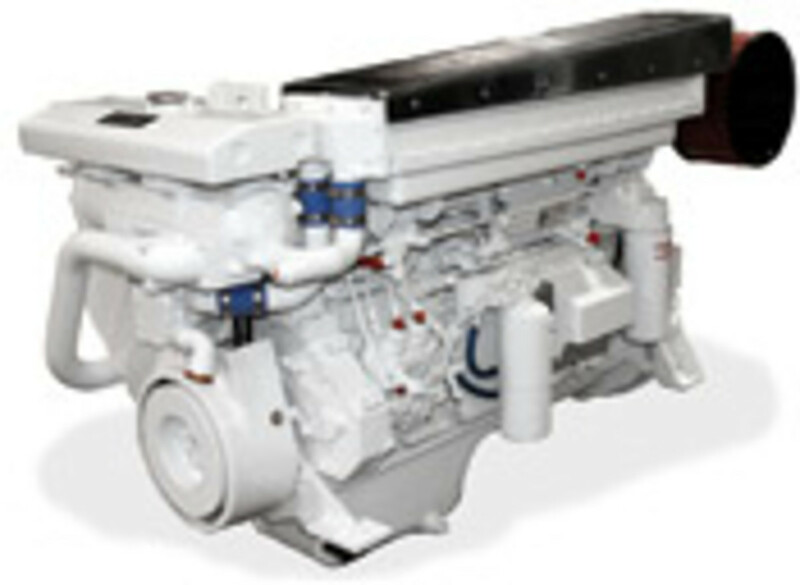 The L6125H, which reaches 470 hp at 2,300 rpm, is built with a Komatsu industrial engine block marinized by Northern Lights engineers. The 2,867-pound six-cylinder engine boasts a power-to-weight ratio of 4.8 pounds/hp. It measures 69 by 33 by 45 inches. "The L6125H is fully customizable with options including front-mount PTOs (power take-off), a full range of panels, transmissions and more," says Puckett. It will be available this spring. Pricing is available on request. Contact: Northern Lights, Seattle, (800) 762-0165, www.northern-lights.com.